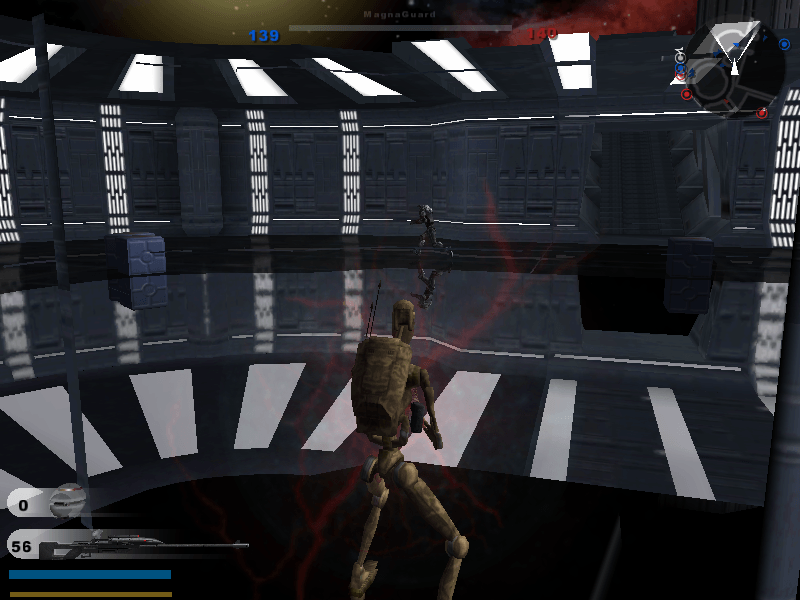 Star Wars: Battlefront II is a shooter video game developed by Pandemic Studios and published by LucasArts. The game was released in PAL regions on October 31, 2005 on the PlayStation 2, PlayStation Portable, Microsoft Windows, and Xbox platforms, and in North America on November 1, 2005 for all platforms. 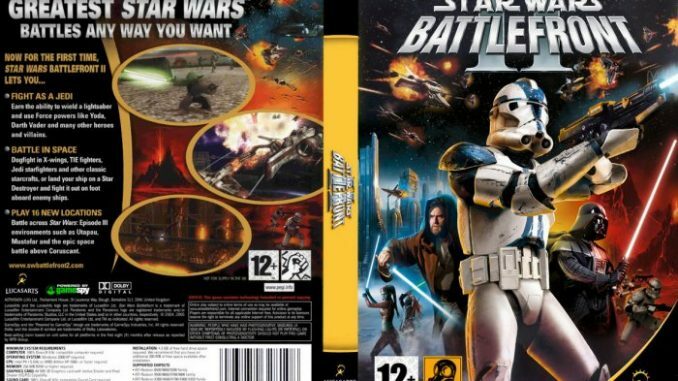 Star Wars: Battlefront II was later updated to be backwards compatible for the Xbox 360 and was also released on the PlayStation Store on October 20, 2009 for download on the PSP. The game is the sequel to the successful Star Wars: Battlefront and features new vehicles, characters, game mechanics, maps, and missions. Star Wars: Battlefront II features a more narrative-based campaign, retelling portions of the Star Wars story from the point of view of a veteran Imperial stormtrooper, reminiscing about his tour of duty in service of both the Galactic Republic and as part of the Galactic Empire. 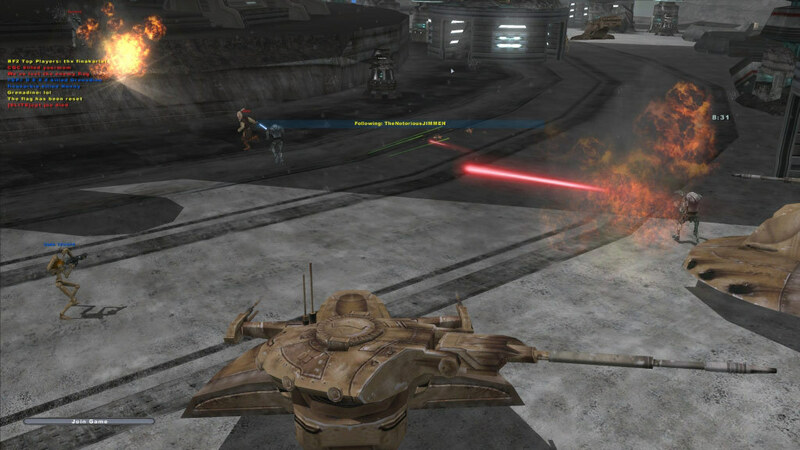 Gameplay additions over Battlefront include the use of Jedi, additional game modes, and objective-based space battles. 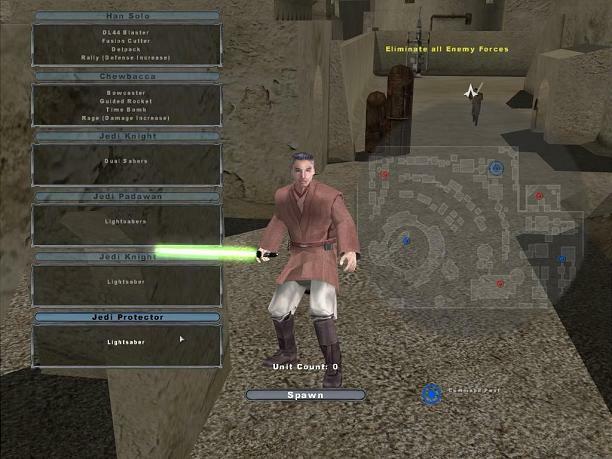 program files/lucas arts/star wars battlefront 2/ and find something like addon (if not available mods). make sure you backup your game before making changes to avoid conflict. Hey thanks for the game. Just to say how do you play online multilayer. I have tried but it says that you CD key does not all you to play online. Can you help? If you really want to play online you will need to find crack servers. There are folders here, BF1, BFX and UCW. Just move these out of the folder to remove the mods and put them back in when you want. what about the bin files? have you tried Removing BF1, BFX and UCW folders and restart your game? just restart exit the game and restart by double clicking the .exe. Sorry jamiejohnson that’s all i know for this game… if you still have problems you can use google and find the most relevant answers… thank you… happy gaming! just asking does bin files has mods? it means that the bin files has mods? I still cant find the menu.bat can you help me please? You will find it on C:\Program Files (x86)\Steam\steamapps\common\Star Wars Battlefront II\GameData\… Open the folder/patch you want to edit. I tried it already but there is no menu.bat but there are still modded units and weapon models even the fake console mode pls help. Thank you admin I played it smoothly and it really plays as well as it is without any lagging gameplay super thank to you keep up the good work.